Mesfin Molla is the team leader of the Karamoja Resilience Support Unit in Uganda. The project is designed to support mutual learning, knowledge management, and coordination among government, donors, implementing partners, and local stakeholders, leading to a supportive policy environment and increased impact of programming on drought resilience and growth in the Karamoja subregion of Uganda. 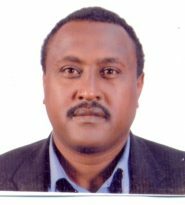 Mesfin has significant experience in integrated program design and program management and a solid track record of successful program implementation in Ethiopia, Sudan, and Uganda for more than 20 years. He has proven technical expertise in the design and management of agricultural and pastoral development, food security, market systems strengthening, disaster risk reduction, and institutional support programs. He has a sound understanding of regulations and procedures across a range of donors including USAID, DFID, EU, CIDA, Irish Aid, and the UN. Further, he has experience working with networks and joint forums to advocate for change and achieve results at scale. Prior to joining Feinstein, Mesfin held senior level program management and technical oversight responsibilities with several international development organizations including ACTIONAID, Save the Children, CHF Partners, Farm Africa, Mercy Corps, and ACDI VOCA. He holds a bachelor’s degree in agriculture from Alemaya University of Agriculture in Ethiopia, with a focus on animal studies. Mesfin also holds a master’s degree in development studies from Addis Ababa University in Ethiopia and an MBA+ certificate from the Entrepreneurial Leadership Program of Portland State University.